This is about getting women out of the Hereditary Chiefs circle. The silent ones are allowed to remain, those who speak up or speak out are removed. Four out of eleven chiefs made the decision to strip the 3 female chiefs of their title, this is based on what they admitted to the Globe and Mail. Clearly these 4 have made a new Wet’suwet’en law, that they have more authority than the remaining 7 Hereditary Chiefs, and any negotiations outside of the Office of the Wet’suwet’en are breaking Wet’suwet’en law. 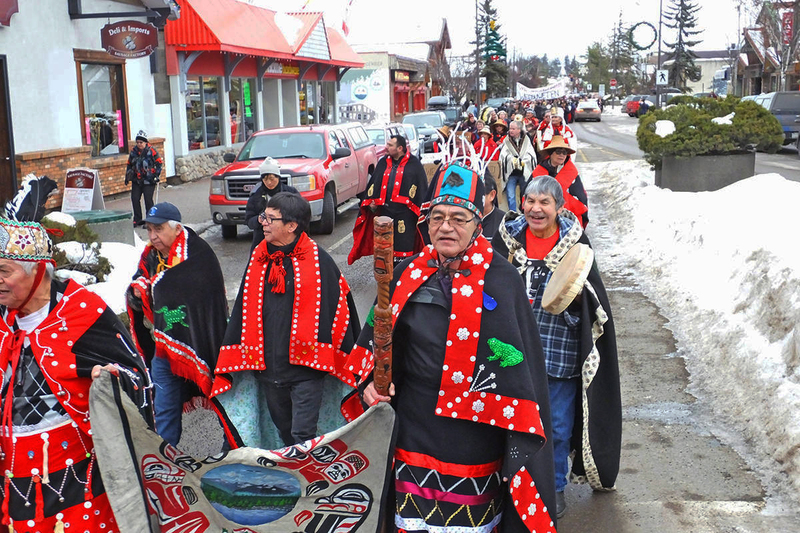 The 13 Hereditary Chiefs now serve the authority of the Office of the Wet’suwet’en, and the office makes up laws as they feel the desire to create them. It’s hard to believe people actually dream up stuff like this, but it’s most certainly a power grab by 4 chiefs who defy anyone to disagree. 4 chiefs laying down the law on 11 Hereditary Chiefs. Does anyone other than me, see there is something seriously wrong with this picture. No wonder we have four out of six communities not wanting anything to do with this hostile takeover of the Wet’suwet’en Nation. There are 11 Hereditary Chiefs (at this time) plus two vacant positions. Regardless of if or not the other chiefs agree to go along with the first four, is not even relevant for what I am saying next. For 4 Hereditary Chiefs to act alone without consent, to do something never ever done in the history of the Wet’suwet’en Nation is nothing short of reckless. This action is not only unprecedented, it also violates the basic principles of Wet’suwet’en Law. Each clan is an entity on its own when it comes to title issues, in the case of stripping title Wet’suwet’en Law prohibits members of another clan to interfere with internal matters of a clan, the four chiefs violated this law of individual clan rule. Below, Wet’suwet’en Laws regarding ownership of Territory. There is ample evidence it had a lot to do with a premeditated method to steal the authority of the name and territory of the legitimate Smogelgem. 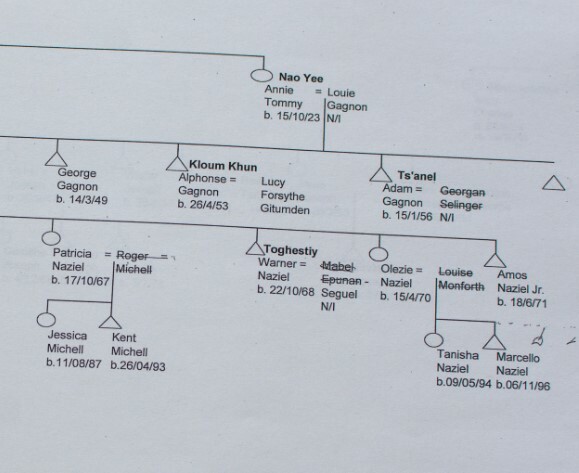 Since 2014 there were numerous statements by Warner Naziel that he is a Hereditary Chief, long before the Wet’suwet’en Matrilineal Coalition came into existence. Warner Naziel has long argued that Gloria never qualified for her role, and it was no secret this role was his target, as he could not take the one that belonged to his own house, it was already occupied by Alphonse Gagnon (Kloum Khun) his uncle. They did not have a meeting with all 11 heads of houses, it was premeditated theft, further it showed they never wanted female Hereditary Chiefs, because they were being cut out of the administration of the Office of the Wet’suwet’en, even though of all 11 Chiefs they were the most qualified. There is a clearly defined system of governance, if there was an issue, in each instance it was the responsibility of each house to deal with the situation as per Wet’suwet’en Law. There is no instant punishment under Wet’suwet’en law, there are warnings, there are meetings, the issues are debated in house, none of that took place, what did take place was a conspiracy to remove women from the authority vested in them under Wet’suwet’en law, that law says its the internal matter of a house, not an issue of the Wet’suwet’en Nation, or of chiefs who belong to other clans. I would add one more very important variable, to be used when the time is right, I have a list of pending successors written by none other than last Smogelgem Leonard George. In that list he has Gloria George listed as his successor. It will be presented to a court of law should this evidence ever be required. Two points I wish to make to avoid speculation, as of this date we still have not spoken to Gloria George, and the second point is we are not sure if she even knows this information exists. Our source revealed that it was their duty to protect the wishes of the late Smogelgem Leonard George. I do hope that at this point, there will be some chiefs who admit that they are human and also made some serious errors in regards to Wet’suwet’en law. To avoid further shame and embarrassment they need to do what is right. How many years of service did these 3 female chiefs give in creating the existing Office of the Wet’suwet’en and to land claims in general, the fact they were denied a seat on the board was grounds enough for them to start their own board, legally under Wet’suwet’en law, and there is nothing the Office of the Wet’suwet’en can do legally to stop them from doing so. 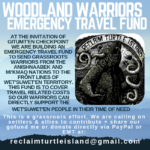 The Wet’suwet’en Matrilineal Coalition has as much right to exist as does the Office of the Wet’suwet’en, however based on this history of a man’s only world, this sexist position cannot be tolerated if it’s going to get funds from Canada or British Columbia. Even the BC Government failed to investigate to insure they are not working with a sexist organization. Look back at how many women held the Chiefs position, but were never allowed to be more than props for the men. There are a few possible options to fix this Hereditary Chief problem. a) The four militant chiefs see the error of their ways and bring back equal power to all chiefs. b) The Office of Wet’suwet’en merge with the Wet’suwet’en Matrilineal Coalition and work together pooling their assets and making the Wet’suwet’en Nation their priority. c) The chiefs who were not involved in the hostile takeover join the Wet’suwet’en Matrilineal Coalition and make it the official negotiating team for the Wet’suwet’en Nation. This last one has the advantage of not having offended any of the 6 communities that make up the Wet’suwet’en Nation. This entry was posted in Aboriginal Issues, Aboriginal Radicals, Breaking News, Bulkley Valley, Coastal GasLink, Greed Driven Corruption, LNG. Bookmark the permalink. And yet the small core gang of protesters and 5 Hereditary Chiefs have now received money from the BCNDP to act as “consultants”. So how is that ok and the WMC not? The evdice is clear. The dictatorship that is now the OTW is making it up as they see fit.